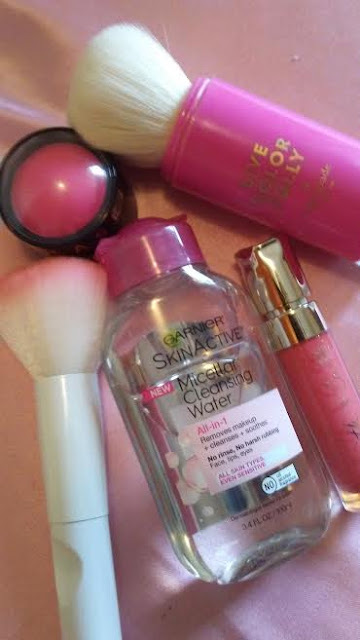 Positively Pink Post for Everything #Pink !! As a girl until now, I have always love PINK whether its fashion, clothes, ads, stationary...OK you get the idea! I decided to share a few of my pink coordinated items from my beauty, fashion, and stationary stash that I have collected over time via sales, clearance, and contests! Above in my Beauty catagory, I have selected a handful of mostly pink theme beauty items including makeup brushes for face and body, pink blush from Sephora, a pink gloss from Smith and Cult via Birchbox, and to clean my face is micellar water from Garnier for my dry skin type! 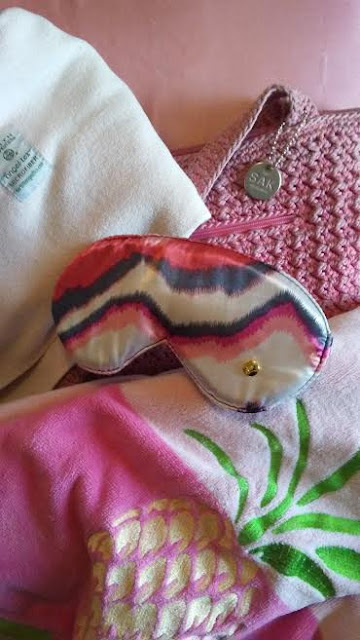 Over the years, my clothes and accessories always have several pink theme items including a pink satin pillow cover for my hair and face, sleeping mask, special towel for drying my hair, a pretty Lily Pultizer pink towel with a pineapple on top and my trusty handbag which has survive motherhood and college years from constant use! 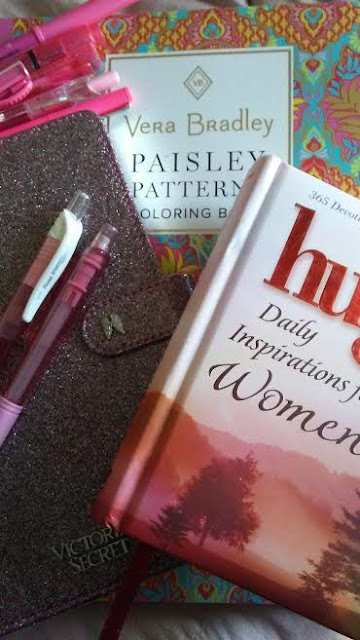 I love pink stationary whether its pens and markers, a cute Victoria's Secret journal via consignment, an inspirational/devotional book for women, and my latest coloring book that I have won via blogger's contest by Vera Bradley! Well, that show just a little of the pink themed items in my beauty, fashion, and stationary collections! How can you not love a bit of pink?! That eye mask is super cute.